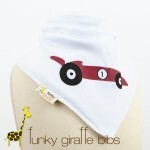 Some of you might remember, we recently had a review and giveaway of the Funky Giraffe bibs. 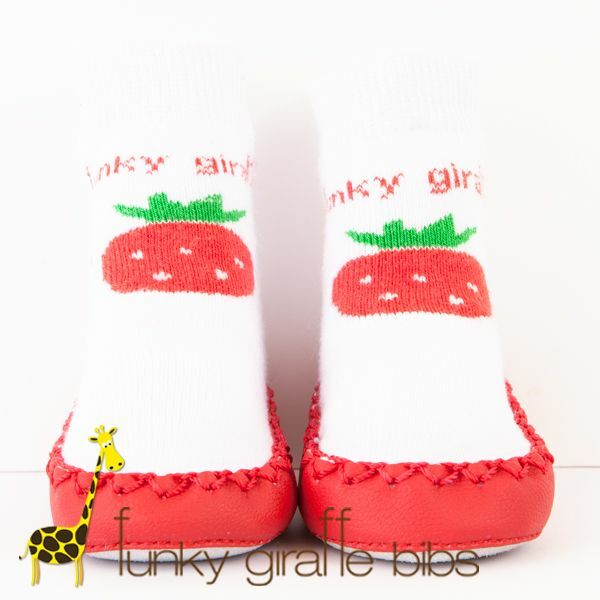 I love Funky Giraffe and have been using their bibs for a while now, so I was really interested when I spotted that they have branched out and started to do clothes too! 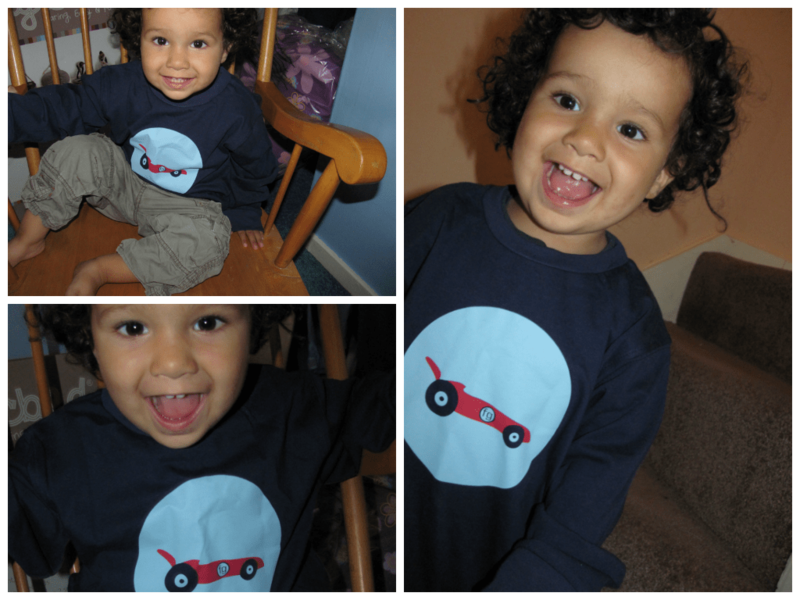 I was sent a clothing item to try out with my youngest, and I chose this top with a red racing car logo. I was really looking forward to see whether the clothes are as soft as the bibs, as that is what I always love the most about them. I did find the t-shirt to be really soft, it is a good quality cotton and feels really nice to the touch. 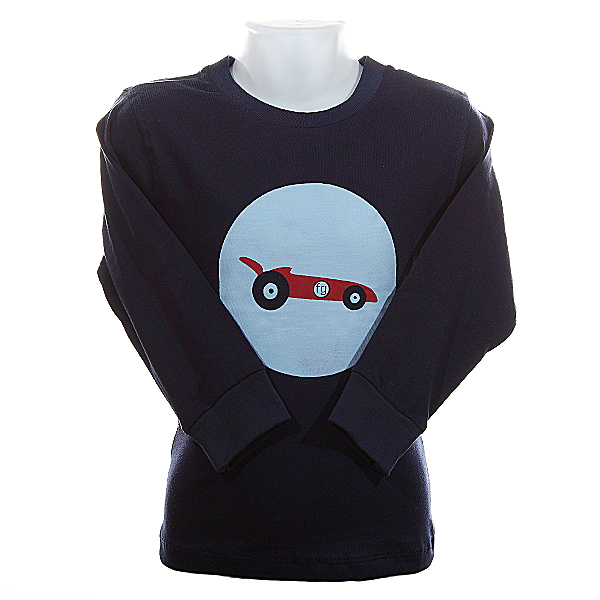 The car design is printed onto the cotton, and includes a little “fg” for Funky Giraffe which is a nice touch. 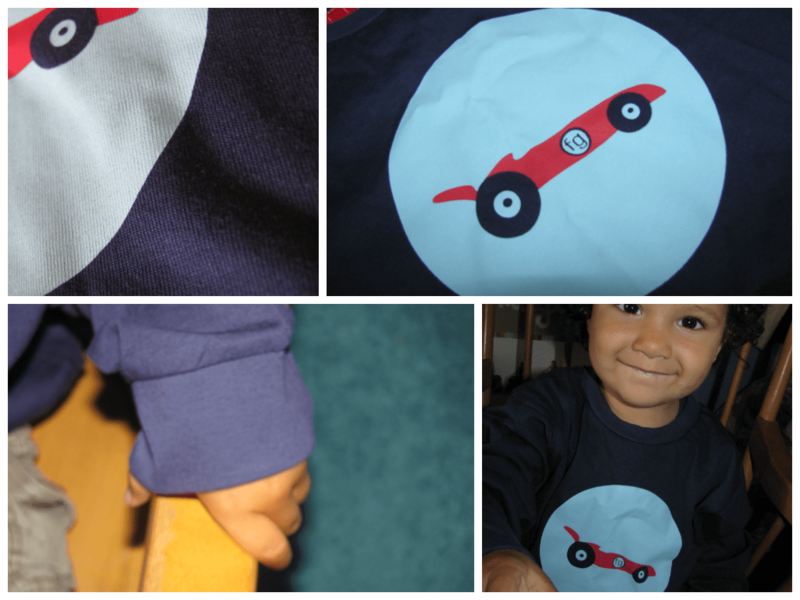 Mr R loves cars at the moment so he was very pleased to have such a prominent car design on his clothes. You can see here some close ups of the print and the material, and the slight cuff at the wrists. I got the size 2-3 years for Mr R which is pretty big on him at the moment. I would say they are on definitely on the generous side in sizing, so if your child is between sizes or you are not sure then you would be safe to go for the smaller one. Mr R is actually in 18-24 size clothes normally, but as he will be 2 next week and I hadn’t tried the Funky Giraffe clothes before so was not sure of sizing, I wanted to be safe and try 2-3. This way it will definitely last him ages, anyway! I can see it lasting well until he grows out of it, as the material is of a good quality. The T-shirt does feel really soft on him, which makes him extra nice and snuggly! If you have a look on the website you can see all the options available. As well as t-shirts (long and short sleeves) there are baby playsuits, dresses, bodysuits and accessories. Funky Giraffe have also started doing Moccasins. I found these type of shoes really useful for Mr R when he was just learning to walk. They are great as they stay on the feet, and keep them warm and dry but still give them loads of flexibility without moulding their feet too much. For the Giveaway today – Funky Giraffe are offering one pair of Moccasins of your choice for a lucky reader! Here are a couple from the site, but have a look to see the full range of designs. « Babyface – Children’s Bedrooms » Beano! Definitely Superstar Blue for my little one! Floral fancies for my little lovely! 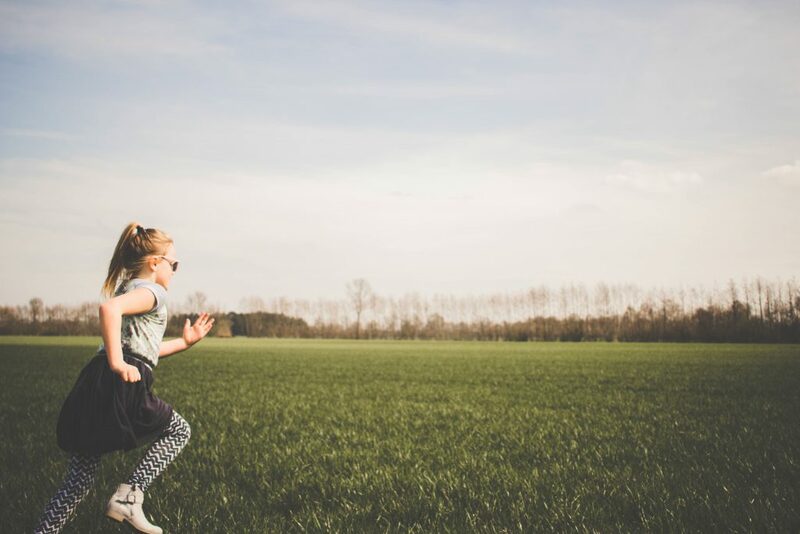 Emma Kershaw recently posted…£200/$300 Gift Card Worldwide Giveaway! I love the Strawberry Delight! I love the pink penguin ones. I like the Superstar Blue ones. 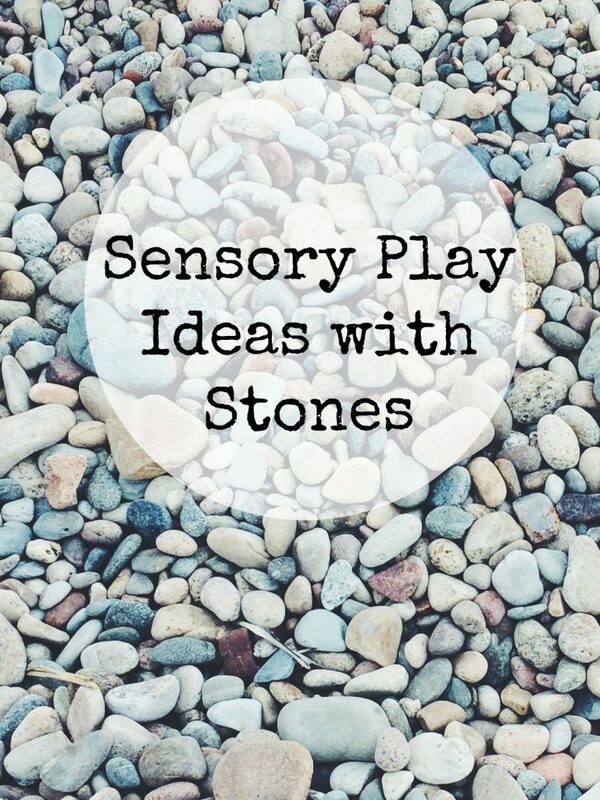 I’d go for the funky giraffe ones – perfect for my son now and my daughter when he grows out of them! I would choose the cupcake ones! I would choose either the giraffe or the navy ones. Got to be the Funky Giraffe ones – I’ve got a bit of a thing about giraffes! A pair of the dotty chic for us. I’d have the rocket ones but I’m 39. NAUTICAL NAVY without a doubt! The cupcake ones are super cute! 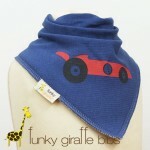 Nautical navy to match his Funky Giraffe bib! Black Spotty are my favourite. The giraffe ones are ace. The cupcake ones are really cute! The Cupcake ones take my fancy! I love the Pink and Penguins! They are adorable! I would choose the pink and penguin ones.